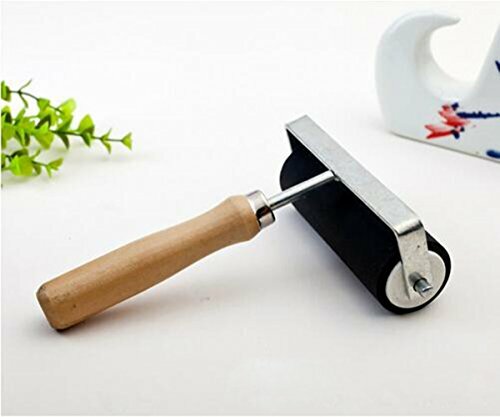 Perfect for block printing, this deluxe hard rubber brayer is ideal for light carving or gluing applications. Excellent for rolling down print surfaces. Brayer features a hard synthetic rubber roller and durable wooden comfort grip handle. Easily & evenly distributes ink or glue for a smoother, cleaner professional finish. Heavy steel frame eliminates warping and damage saving you money on costly replacements. Solid & firm hard wooden handle crafted to the perfect size for comfort, helps prevent uncomfortable hand cramping for a more enjoyable user experience. Speedball Spd-4361 Red Baron Lino Block, 6" x 9"